WWE Royal Rumble in 2019 will emanate from Pheonix Arizona’s Chase Field. The stadium is of course home to the MLB’s Arizona Diamondbacks and there has been much speculation regarding the set-up of the event, given the stadium has a unique design. 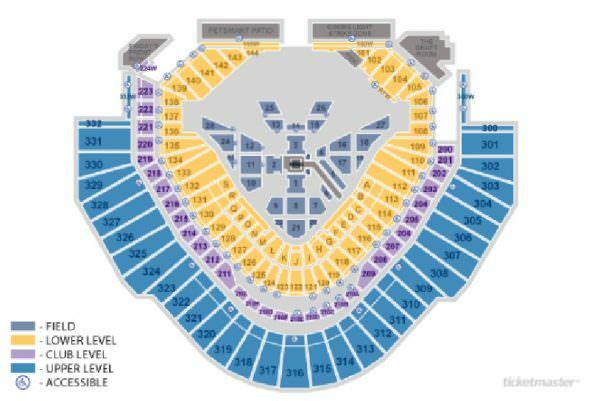 A seating plan from Ticketmaster reveals that WWE has plans for an entrance stage to be set back from the ring and there appears to be a bend in the entrance walkway. The stadium can accommodate around 48,000 fans and no doubt WWE will try to make full use of the space.